Asheville Business Blog: AdvantageWest launches "ScaleUp WNC"
With Western North Carolina’s history and heritage of entrepreneurial independence, an impressive number of training, funding, mentoring, and technical assistance resources are available across the region to aspiring small-business owners. Among those are the Advantage Opportunity Fund, Blue Ridge Food Ventures and Blue Ridge Entrepreneurial Council – all initiatives of AdvantageWest, the nonprofit regional economic development organization, and all serving primarily early-stage businesses. Now, thanks to a five-year, $1.2 million contract award from the U.S. Small Business Administration, a new level of support will be available to help scalable small firms grow and create jobs. Led by AdvantageWest, ScaleUp WNC will provide intensive growth strategy development and implementation assistance to 150 Western North Carolina growth-oriented entrepreneurs. This stage of companies, after startup but before maturity, tends to be underserved in the region and across the country. ScaleUp WNC offers a unique opportunity to help expand growth-oriented businesses and strengthen the entrepreneurial ecosystem across the region. Twice a year, with training and technical assistance from project partners Ascent Business Network in Boone, N.C., A-B Tech Entrepreneurial Development Foundation in Asheville, N.C., and the Sequoyah Fund in Cherokee, N.C., the highly competitive program will provide an intensive six-week education curriculum developed especially for established businesses. Each cohort, consisting of 15 business executives, will also receive one-on-one management support, assistance in connecting with growth capital, and the opportunity to strengthen connections and networks. Using prior metrics as well as those from similar programs in other regions, this project aims to result in 600 new jobs created and $18 million in new capital raised by small businesses in Western North Carolina within three years of project completion. AdvantageWest was selected by the U.S. Small Business Administration as one of only eight organizations in the country to develop the project as part of SBA’s ScaleUp America initiative. Applications are now being accepted through January 15 for the first cohort, which will start in late February. In December, AdvantageWest will host networking and informational events for potential candidates in four locations across the region, with each event featuring a presentation from a distinguished Western North Carolina entrepreneur [SEE SIDEBAR BELOW]. For eligibility requirements, dates and locations of networking events, and other facts about ScaleUp WNC, visit ScaleUpWNC. Successfully starting up a new business is one thing; scaling up that business is quite another. Now a new initiative designed specifically for growth-oriented companies that are past the startup phase, but before maturity, is available to Western North Carolina entrepreneurs. 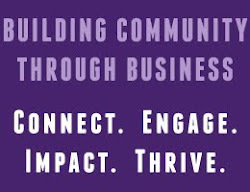 Called ScaleUp WNC, the program will offer a select group of small-business owners intensive training, one-on-one management support, assistance in connecting with growth capital, and the opportunity to strengthen connections and networks. · Central Region (Asheville, N.C.): Monday, Dec. 1, 2 – 4 p.m. Location: Highland Brewing Company, 12 Old Charlotte Hwy., Suite H. Event will include a presentation from Oscar Wong, founder and president of Highland Brewing in Asheville, established in 1994. · Southwest Region (Franklin, N.C.): Tuesday, Dec. 2, 2 – 4 p.m. Location: Drake Education Center, 210 Phillips St. This event will also feature Oscar Wong. · Foothills Region (Spindale, N.C.): Wednesday, Dec. 3, 2 – 4 p.m. Location: The Foundation Performing Arts & Conference Center at Isothermal Community College, 286 ICC Loop Rd. Event will include a presentation from Peter Catoe, founder, CEO, and president of Boone, N.C.-based software development company ECRS, established 25 years ago. · High Country Region (Boone, N.C.): Friday, Dec. 5, 2 – 4 p.m. Location: Blue Ridge Electric Membership Co-op, 2491 Hwy. 421 South. Catoe will provide the keynote presentation at this event as well. Applications are now being accepted for the first ScaleUp WNC cohort, which begins in February 2015. Fifteen founders or executive managers of growth-oriented small businesses will be selected for each cohort through a competitive, merit-based application process. Businesses must be based in the 23 counties of Western North Carolina, have annual revenues between $150,000 and $500,000, have at least one full-time employee, and have identified opportunities for business expansion. The deadline to apply is January 15. There is no cost to participate in ScaleUp WNC, thanks to funding from the U.S. Small Business Administration, but companies chosen are expected to make a firm commitment of time to participate in the program. For more information, visit ScaleUpWNC.com.